The term "frasermax" is used to descibe the largest size vessels that can safely navigate the Fraser River ship channel. It is not described in any regulations and is a generalisation that varies with ship type. Other maritime jurisdictions around the world have similar labels such as the Panama Canal/panamax, Suez Canal/suezmax or Malacca Straits and malaccamax. Vessels up to 270m in length and 32.3m in beam can transit the river on a two-way traffic basis. Ships up to 300m in length and 38m in beam can also safely transit the river, but are subject to transit restrcitions. The maximum ship draft is about 12m, subject to water level conditions.The removal of the George Massey tunnel will not significantly change the ship size as there are other natural and man made impediments. 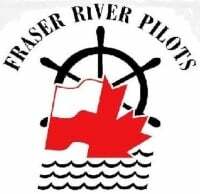 Shipping agents should contact the Fraser River Pilots to request the specific maximum ship size for their particular vessel service.